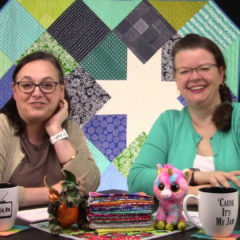 Learn more about time management for quilting and our favorite quilting notions in episode 411 of The Stitch TV Show! 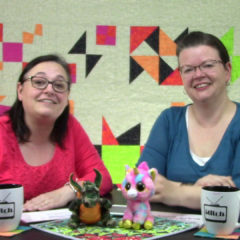 Pam and Lynn chat about t-shirt quilt tips and ideas for thread storage! 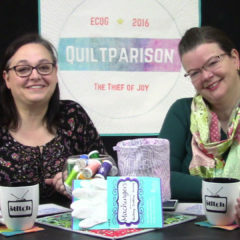 Join us for some quilting chat with friends on quilted pillows and working with print fabrics. 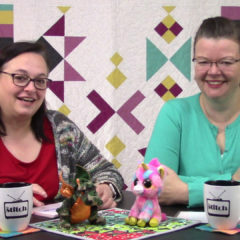 Join us for more quilting chat with friends about our “bucket list” quilts and walking foot quilting. 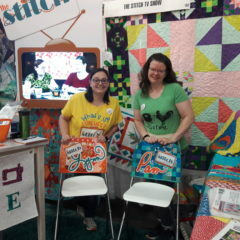 I’m jumping in on a 31 day blog challenge, and the recap of our Quilt Market adventure is a perfect place to start! 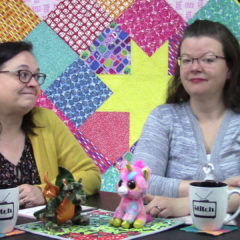 Join us for some quilting chat about binding preferences and go-to quilt patterns.